Hundreds of Slabs in stock, many different colors. 13 years industry experience. Fast turn around time. Fill out the form below for a free estimate. Granite is the most popular natural stone for the counter tops industry. Granite is a highly durable, scratch and heat resistant natural stone. Granite comes in thousands of different unique colors. Granite offers its beauty and durability in a broad price range. Columbus Granite is committed to bringing the most unique, premium quality natural stones in the Buckeye Nation. Marble is a sedimentary natural stone. Marble has a soft, elegant, bright look that is not available in any other stone. Marble is a softer natural stone. Marble comes in polished, leather and honed finishes. It is possible to convert a polished finish marble slab to a honed finish. 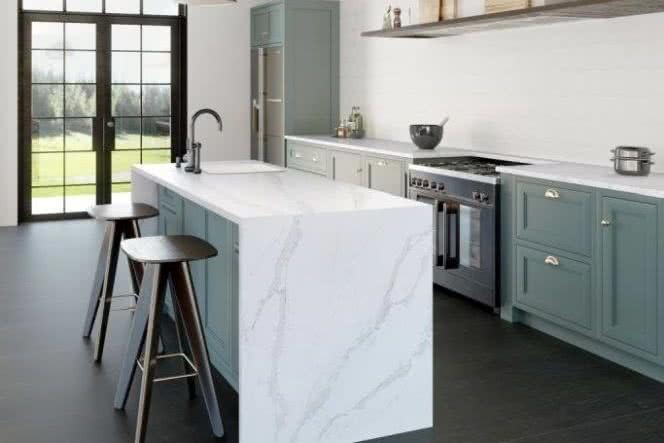 As an alternative to marble, quartz countertops manufacturers have started to imitate the marble look in their color collections. 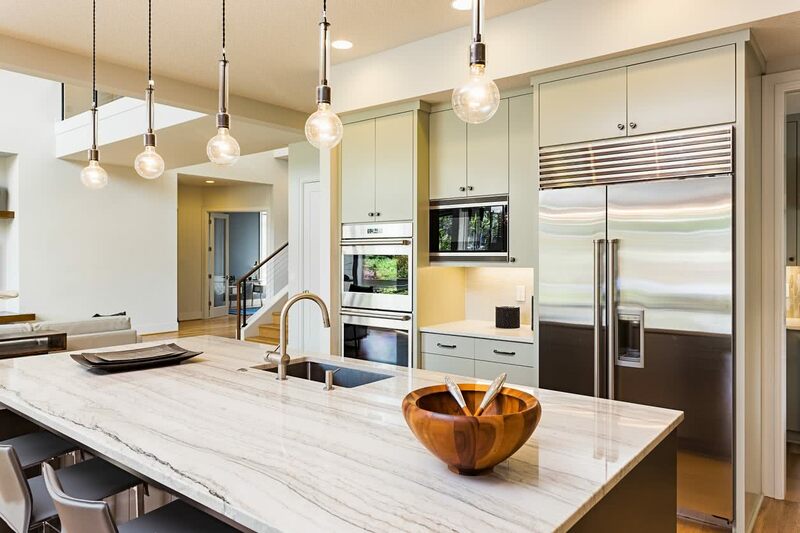 Quartz is an engineered countertop material. Most quartz slabs consist of 93% quartz in addition to color and glue elements. Quartz countertops are highly durable; heat, scratch and stain resistant. Quartz come in a variety of colors including marble look, granite look and consistent solid color options. Quartz countertops are appropriate for kitchen countertops, bathroom vanity tops, and shower walls. Quartzite is a natural stone. It is a very hard material. 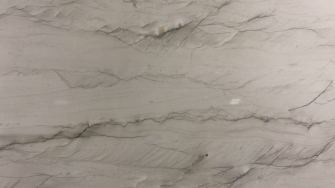 Quartzite comes in unique marble similar soft, elegant, and light colors. It is highly popular for kitchen countertops, bathroom vanity tops, and bar tops. Some of the most popular quartzite colors are; super white quartzite, brown fantasy quartzite, opal white quartzite, mont blanc quartzite, taj mahal quartzite, perla venato quartzite. Visit Columbus Granite today to view the most unique quartzite slabs in central Ohio. Soaptone is a natural stone mostly made up of talc. Soapstone is very soft stone, yet it is still durable. Soapstone is the only nonporous natural stone that is not prone to staining. Soapstone is also heat resistant like granite countertops. Gray Soapstone, Black Soapstone, and Green soapstone are some of the most common soapstone colors. Soapstone Countertops do not require any sealing. Putting some mineral oil on soapstone countertops is a good option to make then look darker. It is not possible to get a good sense of the entire stone unless you see the actual slab. Small 4×4 samples often can be misleading when it comes to choosing your dream kitchen countertops. Columbus Granite has actual slabs of granite, quartz, quartzite, and marble in stock. Columbus Granite provides a one stop shopping experience where you can get your slabs and installation at the same stop. 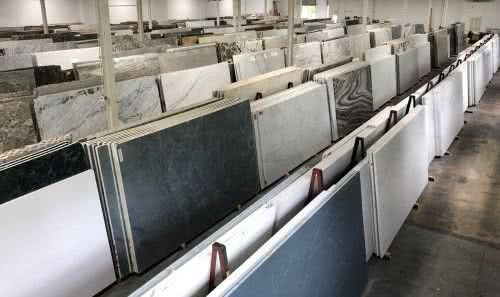 Visit Columbus Granite today to see our wide range of slabs in stock. 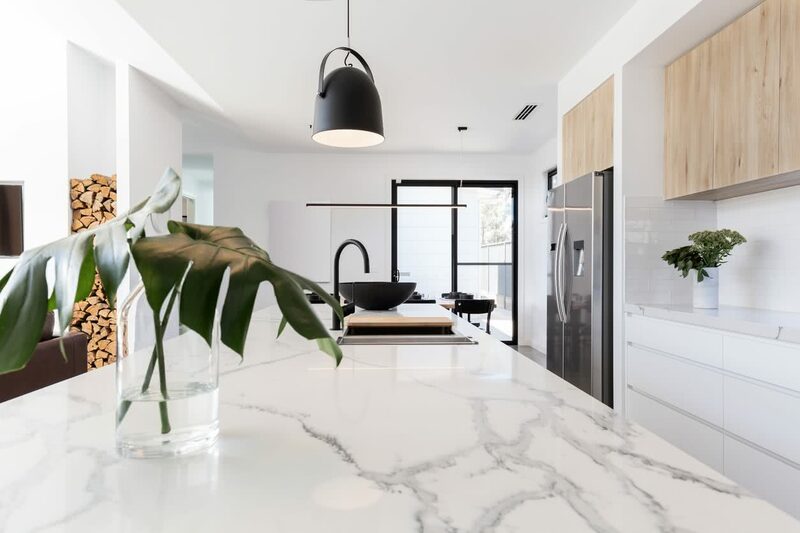 Caesarstone is one of the most reputable quartz brands along with Terrastone, and Zodiaq. Caesarstone is head quartered in Israel. Caesarstone has two fabrication facilities in Israil, and one here in the USA in Georgia. Caesarstone offers some of the most unique colors like Concrete, Naugat, Dreamy Marfil. Are you looking for Caesarstone or another brand of quartz countertops? Come find us here in Columbus Ohio to get your quartz countertops today! Dupond zodiaq, like Caesarstone, is one of the most reputable quartz counter tops brands. Zodiaq has great amount of experience in the countertops industry. Their Corian countertops served the country many many years under Dupond. London sky, Blizzard are some of the most used Zodiaq countertops colors. Silestone is a very reputable quartz slabs manufacturer from Spain. Silestone has a state of the art quartz manufacturing, and also research and development center. Silestone is the first company to start making color patterns that does not repeat among slabs. Decton is their new line for outside usage. Dekton is a highly UV resistant product. Columbus Granite services most of central Ohio. Our service area includes but not limited to; Franklin County OH, Columbus Ohio, Dublin OH, Hilliard Ohio, Worthinton, Springfield, Gahanna, Bexley, White Hall, Upper Arlington, Franklinton, German Village, Minerva Park, Huber Ridge, London, Delaware, Centerburg, Lancaster, Circleville, Williamsport, Zanesville. 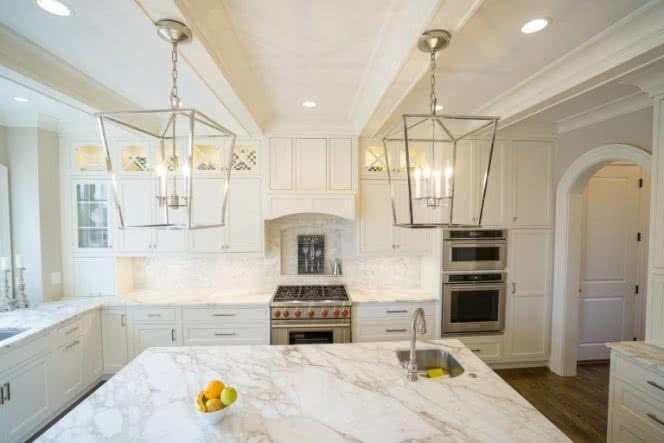 We are proud to have many actual slabs of quartz countertops as well as granite, marble, soapstone, quartzite. Visit Columbus granite today to get your new kitchen countertops. Using marble, granite or quartz remnants is a great way to save on your next vanity counter top project. 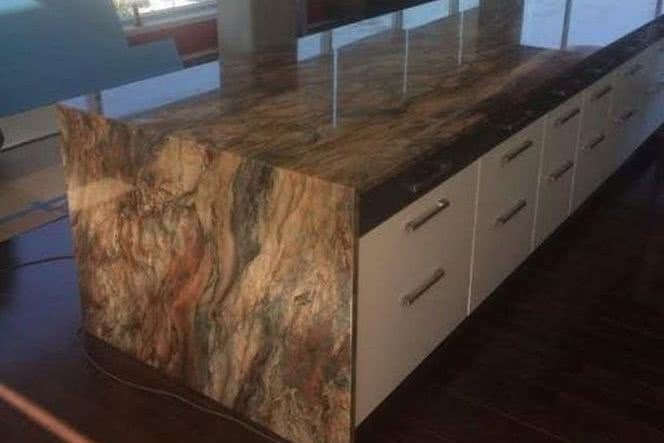 Columbus Granite specializes in exotic, high quality natural and quartz stones, therefore, you will definitely find a remnant that you like for a reasonable cost with us.